In global Competitions, Jarls from one Kingdom compete with Jarls from another Kingdom. Battles can take place on the territory of all opponent Kingdoms. There are four types of global Competitions: Clans Battle, Kingdoms Battle, Kingdoms Battle: Revenge, and Kingdoms Battle: Fury. You can read about the rules for these Competitions in the relevant "How to play" sections. 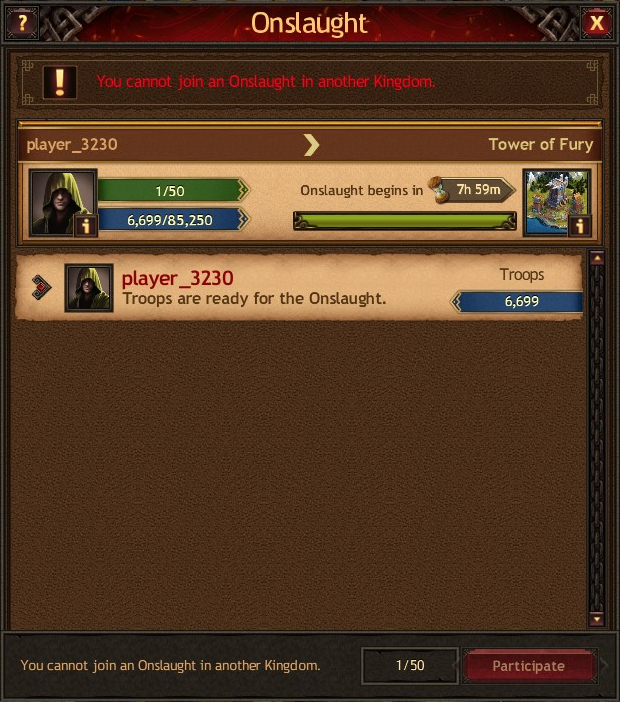 Any Jarls who are Clan members can relocate to enemy Kingdoms an unlimited number of times as long as the Competition is active and they have the Great Relocation items. To relocate successfully, you need to fulfill the same conditions as for relocation within a Kingdom. Jarls can send convoys and reinforcements only to those clansmen who are in the same Kingdom as them. Clansmen who relocate to an enemy Kingdom can interact with each other in the same way as in their home Kingdom. Jarls who are in their home Kingdom can add messages to the Clan walls of their Kingdom, while they can only read the walls of Clans from other Kingdoms. Jarls who relocated to an enemy Kingdom can only write on their Clan wall, while the walls of all other Clans from an enemy or their home Kingdom are available only for reading. If a Clan is holding the Place of Power, then its Chief and Elders can assign Reputes only to Jarls from the home Kingdom that are currently there. The Chief and Elders must also be in the home Kingdom. Help to clansmen in speeding up processes works without limits in any Kingdom. During a global Competition, you can participate in an Onslaught only if it's organized in the Kingdom where you are currently located. Jarls cannot create a Clan when in an enemy Kingdom. To do that, they need to return to their home Kingdom or wait until the Competition ends. Jarls cannot leave the Clan, disband it, or transfer power while they are outside their home Kingdom. They also cannot transfer power to a clansman who is in an enemy Kingdom. The Chief and Elders can expel a Jarl who is currently outside the home Kingdom from the Clan. This Jarl will remain in the enemy Kingdom until the Competition ends. Jarls who are in an enemy Kingdom and have been expelled from the Clan cannot join another Clan or create their own until they return to their home Kingdom. Jarls from warring Kingdoms can attack only Towns of Jarls who are Clan members or have a Palace of level 15 or higher. Jarls can attack the Place of Power in an enemy Kingdom and thus earn points for destroying enemy troops, but they cannot capture this location. Attacking the Town of a Jarl who permanently moved to another Kingdom after the Competition was announced (and therefore isn't participating in this Competition) won't earn you points. During global Competitions, Jarls are marked with a certain color depending on their current status. Jarls from your Kingdom that are in an enemy Kingdom and Jarls who have permanently moved to your Kingdom using the Drakkar or Novice's Relocation items are marked with green. Jarls from an enemy Kingdom that are in your lands are marked with red. Jarls who permanently moved to an enemy Kingdom using the Drakkar or Novice's Relocation items after the Competition was announced are marked with yellow. The Town's Echo located at the place of your Town is marked with blue. During global Competitions, you will have access to the Homeland and Foreign Land Chats, where Jarls from your home Kingdom and enemy Kingdoms will have special color markers. The Homeland Chat is used for communication between Jarls from the same Kingdom. The Foreign Land Chat replaces the Common Chat when you're in an enemy Kingdom. The Chiefs Chat is available for all Clan Chiefs from the same Kingdom. Here, leaders of alliances can discuss general tactics and strategy to win in the Competition. Jarls who are in their home Kingdom are marked with orange in the Homeland Chat. Jarls from the home Kingdom who relocated to an enemy Kingdom are marked with gray in the Homeland Chat and with orange in the Foreign Land Chat. Jarls from an enemy Kingdom are marked with red in all Chats. Fellow clansmen or your Clan Chief who are in the same Kingdom with you are marked with orange in the Clan Chat or in the Chiefs Chat. Fellow clansmen or your Clan Chief who are in a different Kingdom than you are marked with grey in the Clan Chat or in the Chiefs Chat. After a Competition is over, you receive a reward for personal achievements (for passed checkpoints) if your Kingdom came 1st or 2nd. When passing checkpoints in personal achievements, your League and not the Clan League is counted. If you are a Clan member, you earn points and receive a reward for every checkpoint you passed. If you're not a Clan member or joined it after the Competition was announced, you don't earn points and don't receive a reward for personal and Clan achievements. Points for personal achievements can decrease during a Competition and even go into negative figures if a Jarl demolishes buildings (in Competitions where there are tasks to increase Influence by constructing and upgrading buildings). The number of rewards for passed checkpoints is determined based on the number of points earned for personal achievements by the time the Competition ends. For example, a Jarl has earned a certain number of points and reached checkpoint 3. Then they demolished buildings and their points for personal achievements are between checkpoints 2 and 3. In this case, when the Competition ends (if the Jarl's Kingdom won), they will receive only rewards for checkpoints 1 and 2. If the Jarl had a negative number of points, they won't receive any reward for personal achievements. Clan points can decrease during a Competition and even go into negative figures if clansmen demolish buildings. For example, a Clan has reached a certain checkpoint and received a reward for doing so. After some time, the Clan points decreased as some clansmen demolished buildings in their Towns. The Clan members had to work hard to earn the required number of points and reach the same checkpoint for a second time. But the Clan won't receive a reward for this achievement again.